When the ground beneath her feet disappears for the first time, eleven year old Rose Franklin is excitedly riding her bike around the block in her home town in sleepy South Dakota. 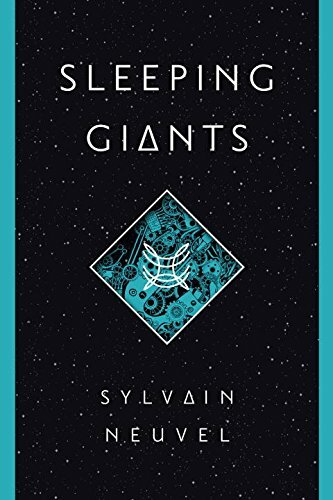 Hours later, she wakes up in the clutches of "a giant metal hand" (p.5) with a bit of a headache, but otherwise unharmed. The military take ownership of the hand almost immediately, and a cover-up of course commences. Once everyone has been sworn to secrecy, the Powers That Be bring the boffins in, but nothing they discover makes any sense. The artifact appears to be something like six thousand years old, which "flies in the face of everything we know about American civilisations." (p.11) It's primarily made of iridium, an immensely dense metal mined from meteorites, mostly—yet the hand is "inexplicably light given its composition." (p.14) Last but not least, the piece came complete with a handful of panels covered in carvings that glow even though they've no light source. It takes seventeen years for the military to admit that it doesn't have the first clue what to do and hand the hand off to the University of Chicago for further research. Its experts, too, are baffled to begin with—until they bring Rose Franklin in to head up the study. And it's this—Rose's willingness to question everything—that ultimately unpicks the mystery. She becomes convinced that there's more than just a hand out there in the big wide world, and as it transpires, she's quite right. Chief Warrant Officer Kara Resnik and her infatuated co-pilot Ryan Mitchell are looking for samples that suggest Syria is pursuing a nuclear weapons program when the systems of their stealth helicopter suddenly cut out and they come crashing down to the ground—only to find a few hundred foot-long forearm which, when placed in proximity with the hand, adheres to the original artifact like a missing puzzle piece. And so the search for the remaining sections of what Rose and her team are beginning to believe must be a monolithic metal body is on. Interestingly, said search is related to the reader through a series of transcripted interviews rather than via a standard narrative. The author also treats us to notable news reports and occasional diary entries from the project's participants—namely Rose, Kara, Ryan and a couple of others who come into play later. 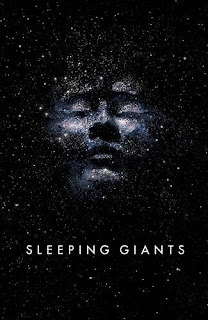 In a sense these serve to stave off the onset of monotony with respect to Sleeping Giants' principal mode of storytelling, though they are so few and far between that they feel like a compromise in a novel that otherwise evinces impressive commitment to its core principle: the detail-oriented documentation of a discovery unlike any other. It's a gimmick, granted, but a good one, in that the interviews are arranged in such a way that they incrementally expand the naturalistic narrative at the same time as proffering a multiplicity of perspectives on each of the tale's major players. 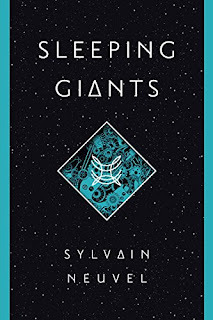 There is, in addition, a telling tension between what the subjects of Sylvian Neuvel's debut are willing to say on any given day and what they're keeping to themselves—which, in turn, introduces another element of uncertainty: who is this inquisitor, in any event, and what is the extent of his agenda? 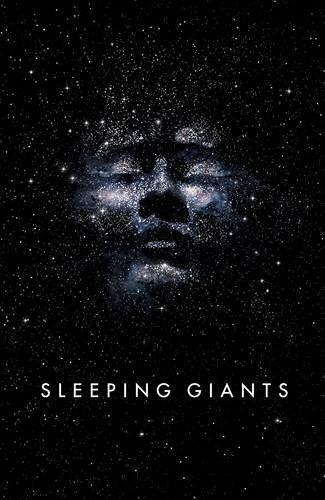 So what's Sleeping Giants worth? Well, "you have to decide for yourself. Stories are there to entertain, preserve history, or serve a societal purpose of some kind. I think this one does a bit of everything." (p.201) And me? I'd be inclined to agree.